The classical thought is, that the repertoire/order isn’t limited and teachers aren’t parroting. It is understanding how Pilates and the system work, and why there is an order, and how each apparatus works differently to strengthen and change bodies. The apparatus supports the mat, until one is advanced enough that the apparatus just becomes off the chain CrAzY. It is fun to start somewhere different to mix things up, but for big changes in our clients bodies the system is the way to do it. David Woods: I have more than one certification….and I pull from all of them depending on my classes and clients that I teach….one needs their toolbox always full. I see contemporary as variations upon the exercises. I start where ever I need to with my classes and clients. Hard for me to understand why other trainers get trapped into thinking they need to start with mat – reformer, if we have been trained correctly, then we have the knowledge to start anywhere with any class or client, I will take them on 2 or 3 machines during their session. I want them to never become complacent. Dena Pasicznyk Rasmussen: I’m certified through Balanced Body, I took postnatal classes in BB studio that offered a training program. Once I realized how quickly my healing body was responding to the movement I was hooked! As a former dancer this movement made sense to me. I have been teaching for nearly ten years. I try to use at least two pieces of equipment in my session, often times more. I follow the classical order for the most part but do enjoy the variations for certain things. I’m considering another cert in the classical method. Mostly I just want to be sure I truly understand it. I’m working with a classical trainer now and have had some real aha moments. I love learning from other instructors and never leave a workout without something new to think about which inspires me to add another cert. Erica Walters: I started with the Physical Mind institute in 2004 and I hated it. There was no plan and no direction. It was a 10 week program that was local, and on paper it looked great, but once I was in the program, I was lost and nothing made sense, so I quit. And I lost all the money I paid. I started doing some homework shortly after I quit and found Peak Pilates, a classical program. I liked that they had things modulated and that I could do the comprehensive program over an 18 month period out of Dallas. I was 23 and it was just what I needed with where I was in my life. Later I started taking continuing education courses to further my knowledge and I found nothing was really drawing me in or leaving me satisfied. I decided that it was time to really dive in and further my education and registered for The Pilates Center of Boulder’s Advanced Bridge program. To be short and to the point, the Bridge Program filled in all the gaps. It changed my thinking, the way I looked at each person coming to me, the way I approached the work with people and myself, and I finally learned the full classical work. Everything came into place. There is always more to learn, but now I’m not searching for the next workshop, I’m looking to dive deeper and deeper into the work. How long have you been teaching Pilates, and have you stuck with your 1st cert or not and why? How did you choose the 1st one, and how did you choose the one’s after that? What made you decide it’s time for a change, or just an addition to your toolbox? Anastasiya Goers, PilatesBridge.com: I have been teaching Pilates for 6 years. I started my training with Power Pilates but switched to Balanced Body after the first module. The Power Pilates instructor simply failed to provide me with the answers of who certain exercises are done (his answer was “because that’s how you are taught to teach.”) I might have continued with PP if I had a better mentor. Initially, I chose BB because it was the only program that was close to me geographically. However, I really fell in love with my mentor and her love of teaching and movement. My mentor was Jennifer Gianni and she had a wealth of knowledge to share about prenatal Pilates and women’s health (both of those topics were of high interest to me at that time.) She trained with Romana so she had classical routes but she also embraced the contemporary side of Pilates, particularly the pre-Pilates work. I did not do any bridge programs, however I started to expand my teaching toolbox by visiting classical Pilates workshops and doing my home-study through Pilatesology, Classical Pilates DVDs and of course Return to Life. Devra Swiger, Ab-Solutely Pilates: I have been teaching since around 2000. My first certification was a classically oriented one with a Romana trained teacher for equipment and I did an intensive classical mat cert with Colleen Glenn. I then did Polestar Studio cert a few years later. There weren’t as many options back then so I did what was convenient for me. After the classical one and Colleen’s cert I felt I needed a nationally recognized one because I moved around a lot. If you are contemporary trained how do you choose what to teach, and does it depend on whether or not it’s a group, private, or semi private? DS: Deciding what to do depends on the clients’ needs, their mood, my mood and what seems to bring them a combination of fun and work. In my opinion it is their hour with me so we do partially what they want, but also what they need. I follow the traditional order in a mat class. In Studio I mix things up. AG: I choose what I teach based on who is in front of me. Some of my clients have had hip and knee replacements so I use more pre-Pilates work with them, modify some of the exercises to make them more accessible to my clients. Same goes for my prenatal and postnatal clients. With my “no-issues” clients I can work more according to the classical program. I do not have a fully equipped studio at my disposal so I have to be creative with the exercises that I teach. It’s mat, Reformer and small props for me. I do start with the Footwork every time and weave the matwork into the Reformer workout. I feel that groups tend to respond to the classical work a little better because they “learn” their order and I can focus more on precision in every movement rather than learning new moves every time. They know where to go, I guide them and “spice things up” by adding a new modification or switching the apparatus that they are used to work on. If someone has issues or injuries and they have been cleared to exercise, how do you choose their workout? DS: A lot of trial and error. I always start out very slowly and work them up to more challenging. I ask them to always tell me when something feels ‘wrong’. I have been accused of being too cautious, but rather have that than hurt someone. If you are a “bridger,” how confused are you by the new and different apparatus? DS: I am not really a true bridger. I went back to my classical roots to help me better understand the method, but I did not give up my contemporary training. In my world and in my business, the combination serves me best. What separates an OK/good teacher from a great teacher? AG:I feel that a great teacher is the one who teaches compassionately the person in front of them. This teacher is always willing to learn and explore new exercise opportunities if those are to benefit their student. A great teacher is able to adjust the work for the person in front of them instead of just relying on the order or a video workout that they are trying to mimic. I guess I am trying to say that a great teacher treats each client as a person with individual needs rather than just a “check” in their schedule. I know that’s how I like to be treated when I go for my workouts and that’s exactly what my students complement me on. My students think that I am a great teacher, their opinion is the only one that matters to me. What do you feel are the gaps in your knowledge of Pilates and how to teach it? AG:There are always gaps in knowledge and I am excited about discovering them because they give me an opportunity to learn and get out of my comfort zone. Each new client is an opportunity for me to learn something new. DS: There are always gaps. I could honestly stop teaching, take workshops and certifications all day long and still find there is much missing. Since that isn’t possible, I try to learn where I can and to understand that although there are many gaps, I am still good at what I do. I would never call myself a great teacher…ever! I am good, my clients like me and I take pride in my work. Could I be better? Hell yeah! We all could. 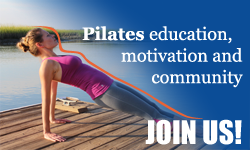 What are your thoughts about the Pilates Teacher Bridge Program? Have you gone through one or are you satisfied with your current Pilates teacher certification? Share your thoughts in the comments! Sunni Almond is a true believer in the power of Classical Pilates, the one that came from Joe and Clara Pilates. She teaches Classical Pilates on classical apparatus in her studio Studio S Pilates in Temecula, CA and offers Going More Joe mentorship for teachers who would like to start teaching Pilates the way that Joe and Clara Pilates intended it to be. Check out Sunny’s studio or contact her to schedule a session – click here.